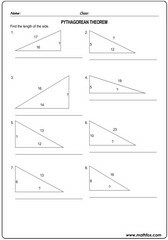 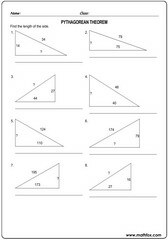 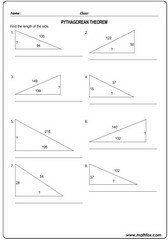 Pythagorean theorem activities for children, Finding the base, height and hypotenuse of triangles using the Pythagorean Theorem, 4th grade to 7th grade. 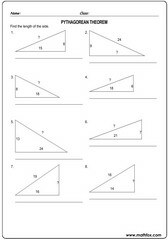 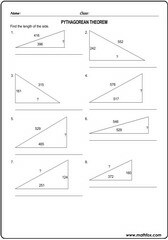 Pythagorean theorem Math worksheets, games, quizzes, tests, PowerPoint games, board games, card games etc . 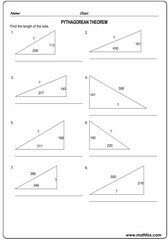 Learn how the Pythagorean Theorem works. 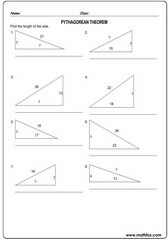 Suitable topic from 4th grade to 7th grade : Finding the base, height and hypotenuse of triangles using the Pythagorean Theorem.